Effectively, the price of subsidised cylinder will increase to Rs 498.02 per in August 2018 from Rs 496.26 per in July 2018. 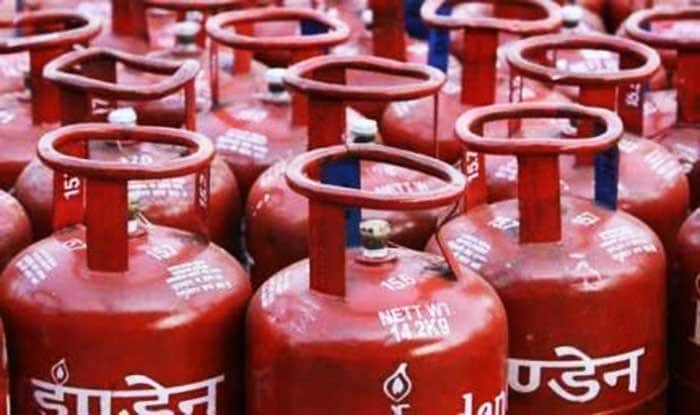 New Delhi, July 31: The price of non-subsidised LPG cooking gas will be hiked by Rs 35.50 per cylinder in New Delhi, and that of the subsidised one by a marginal Rs 1.76, effective August 1. According to Indian Oil Corporation, the increase in prices of non-subsidised LPG cylinder is mainly due to changes in international prices and foreign exchange fluctuations. Consumers have to buy non-subsidised LPG cylinder after exhausting their yearly quota of 12 subsidised ones. In terms of subsidised domestic LPG cylinders, the rise has been attributed mainly on account of GST levied on the revised price of domestic non-subsidised LPG. “There is a marginal increase of Rs 1.76 per cylinder in the effective price of subsidised LPG cylinder in Delhi for domestic customers for the month of August 2018,” IndianOil said in a statement on Tuesday. “While the price of non-subsidised LPG at Delhi will increase by Rs 35.50 per cylinder in August 2018 mainly due to change in international price and foreign exchange fluctuations, the actual impact on subsidised domestic LPG customers is only Rs 1.76 per cylinder, which is mainly due to GST on the above,” the statement said. As per the statement, the subsidy transfer in customers’ bank account has also been increased to Rs 291.48 per cylinder in August 2018 as against Rs 257.74 per cylinder in July 2018.